UK Manufactured - High Quality/Strong Pure Silicone Rubber to BS 2848 Type 5180 TB Standard. 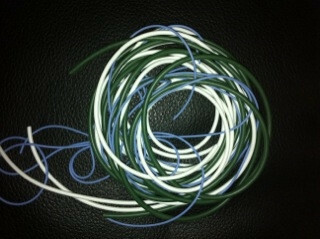 There are 3 special sizes of silicone tubing for Carp pole floats with larger diameter stems and tips. Sizes in this pack are: 0.7mm Bore, 0.9mm Bore & 1.1mm Bore. The bore tubing allows for easier threading and has a heavy wall of 0.5mm for abrasion resistance. The quality silicone tubing retains its elasticity and maintains its colour unlike cheap imports. It can be used in the toughest situations - safe in the knowledge that it is tougher than other silicone tubings available. Colours may vary in the pack. This pole float tubing has been tried and tested by local fisherman who rate it as one of the best quality tubings they have used.